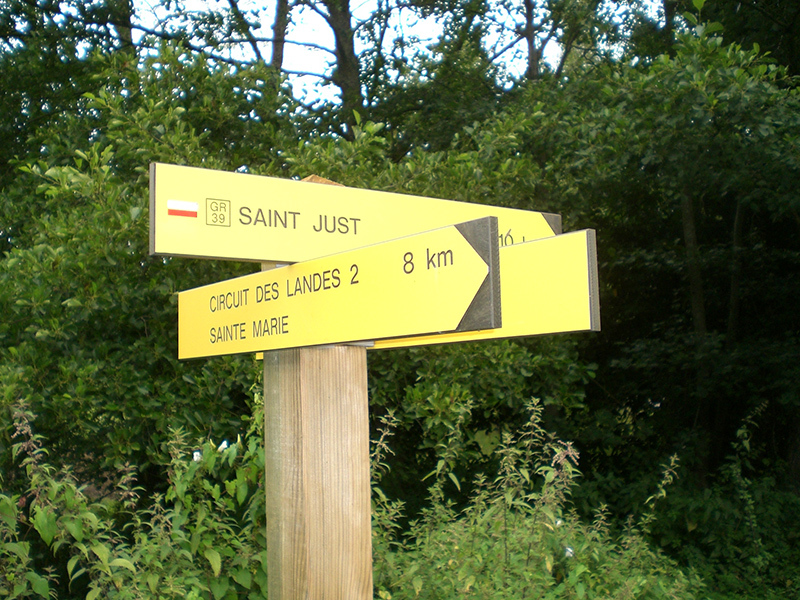 The famous red and white striped marker guides walkers throughout France, including Redon which lies on the GR38 and GR39 trails. It also has 2 regional circuits. The GR38 runs west-east from Douarnenez in Finistère to Redon through Morbihan across moorland, through forest and valleys. The GR39 crosses Upper Brittany north-south from Mont-Saint-Michel to La Baule. Of the 2 regional circuits, the GR du Pays des Trois Rivières in Loire-Atlantique follows the Nantes-Brest Canal through the Gâvre Forest and the Don Valley. The GR349 follows the river Vilaine from Rieux through Foleux to the estuary.